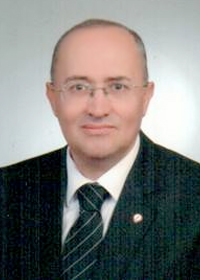 Prof. Dr. Okan ERTUĞRUL was born on 16.03.1956 in Konya-Turkey. He graduated from Ankara University Faculty of Veterinary Medicine in 1979. Briefly, he worked at Ministry of Agriculture and in this time he joined and completed seminars on Project preparing and evaluation. In 1981, he started to work at Ankara University Faculty of Veterinary Medicine as a research assistant at Physiology department during 4 years, than he worked at Integrated Meat and Feed Factory for one year. After this one year at the field, he became Research Assistant at Department of Animal Breeding on Ankara University Faculty of Veterinary Medicine. During his doctoral studies he joined courses on Statistic which organized by TUBITAK and ITU. He earned Dr. title in 1990 in animal science. After the Dr. Thesis went to Budapest for two months to study blood protein polymorphism. Dr. Ertugrul, joined several training courses one of which Recombinant DNA technology in diagnostic was founded by TUBITAK, Marmara Research Center in 1991. Prof. in 1993 and worked as a rapporteur at Cattle Breeding and Improvement community. He went to Stutgard Hohenheim University and Dublin Trinity College to observe, practice and improve his molecular scientific abilities. He joined as a subcontractor at the ECONOGENE project. He became a Prof. in 2001 at the Genetic Department which he had established in 1995. He was one of the executive members of TURKHAYGEN-1 (In Vitro Conservation and Preliminary Molecular Identification of Some Turkish Domestic Animal Genetic Resources-I; KAMAG-106G005) project. He has completed 22 project. One project is ongoing.